If you are a devoted fan of Adventures in Odyssey, like us here at Audio Theatre Central, then you love learning more of the behind-the-scenes information about the actors, production team, writing process, etc. 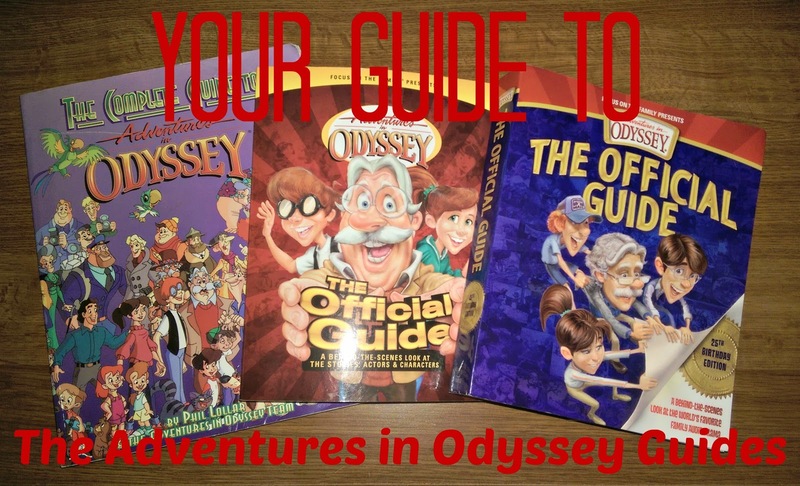 One of the best ways to get this type of information is through the Adventures in Odyssey guides. But since there are multiple editions you may be unsure where to start. So let's go through these guides and look at what information is covered in each of these volumes. The very first guide ever published was written by Phil Lollar and contains a very thorough and detailed look at the beginnings of the series; including the development of the town, the main character of Whit and Whit's End. Also in this edition are chapters on the cast, the crew, foley, music, and even a tribute to Hal Smith, the first voice of John Avery Whittaker. The bulk of this volume is made up of detailed summaries of each episode of the show from 1987-1996. This includes the 12 episodes from the pilot series, Family Portraits, and each AIO episode from #1 to #371 (Albums 1-28). This version of the guide starts off with a more condensed look at the birth of Odyssey and then highlights an interview with the series co-creator, Steve Harris. There are also many other short interviews with other key members of the cast and crew accompanied by lots of photos. This volume also contains album overviews and episode summaries, but these summaries are much shorter than the ones in the previous guide. The summaries start with AIO episode #1 and ends with #642, the last episode in Album 50. While all this information is great, some of the best features are the short sections that Nathan Hoobler scatters throughout the book called Goof Alert!, Sound Bites and Behind The Scenes, among others. These one or two paragraph entries are full of fun little tidbits about the series. 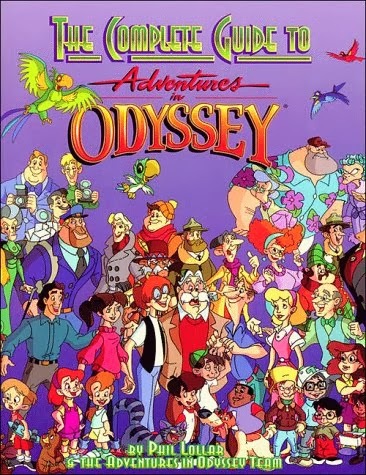 Running from page 6 through page 13 is a timeline depicting the history of Odyssey beginning with the very first audio drama produced by Focus on the Family in 1983 and ending with the release of Album 50 in the fall of 2008. This guide also has chapters on the Lost Episodes, the books, videos, and Eugene Sings. There are also several episode indices which sort by title, theme, Scripture verse and Bible story. At the very end of the book is small section of full-color pages with photographs of cast and crew. 563 pages not including color photo section. This edition covers much of the same information as the 2008 volume with a few additional features. The major difference is that this volume contains episode and album summaries through Album 56 (Episode #726). Also included are sections on The Truth Chronicles and Passages: Darien's Rise. The AIO Timeline in this volume goes through November 21, 2012 which is the 25th birthday of the show. One section that appeared in the 2008 edition and is missing from the 25th Birthday Edition is the Eugene Sings section. There are several more cast members included in the Meet The Cast section of this edition; 42 in this one as opposed to 31 in the previous edition. Other features that remain the same are the BTS, Goof Alert!, etc. sections as well as chapters on the AIO books and videos. We also have the same indices and full-color photo sections at the end of the book. 649 pages not including color photo section. And there you have it! An overview of each of the AIO guides. 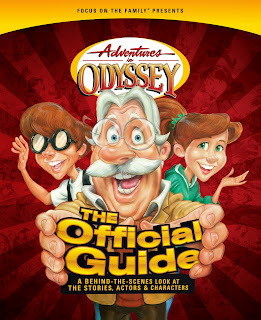 Pick up your copy and enjoy learning about Adventures in Odyssey! Remember that if you choose to purchase any of these books through the links in this post, ATC will earn a commission on that purchase. So thank you for supporting Audio Theatre Central!